Belize NMS: Mainly fair and warm conditions will prevail today then a slight increase in moisture is expected. 24-hour forecast: Sunny with a few cloudy spells and isolated showers or thunderstorms today, becoming cloudy at times tonight with a few showers and isolated thunderstorms mostly over southern and along some coastal areas. General Outlook: Some cloudy spells with a few showers or thunderstorms mostly inland Friday then some showers and thunderstorms over southern and coastal areas Friday night. Today E 10-20 kts Moderate 4-6 ft ISOLATED SHOWERS OR THUNDERSTORMS. Tonight NE-E 10-20 kts Moderate 4-6 ft A FEW SHOWERS AND ISOLATED THUNDERSTORMS MOSTLY SOUTH. Tomorrow E 10-20 kts Choppy 3-5 ft A FEW SHOWERS OR ISOLATED THUNDERSTORMS, DECREASING. Outlook NE-E 10-20 kts Choppy 3-5 ft SOME SHOWERS AND A FEW THUNDERSTORMS MOSTLY SOUTH. Last edited by Marty; 08/04/17 06:08 AM. 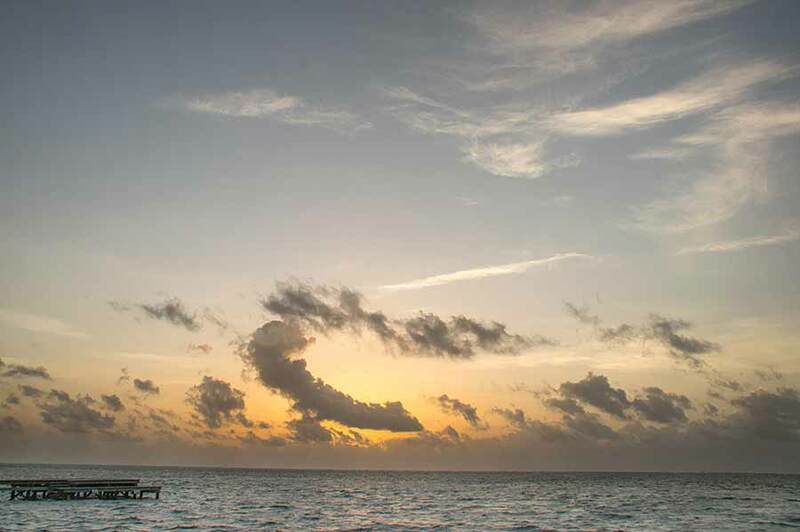 On Ambergris Caye this morning the wind is from the ESE at 9 mph. The sky is clear and our expected high is 89 F. Our little island is usually about 10 degrees cooler than the mainland because of the sea breeze. 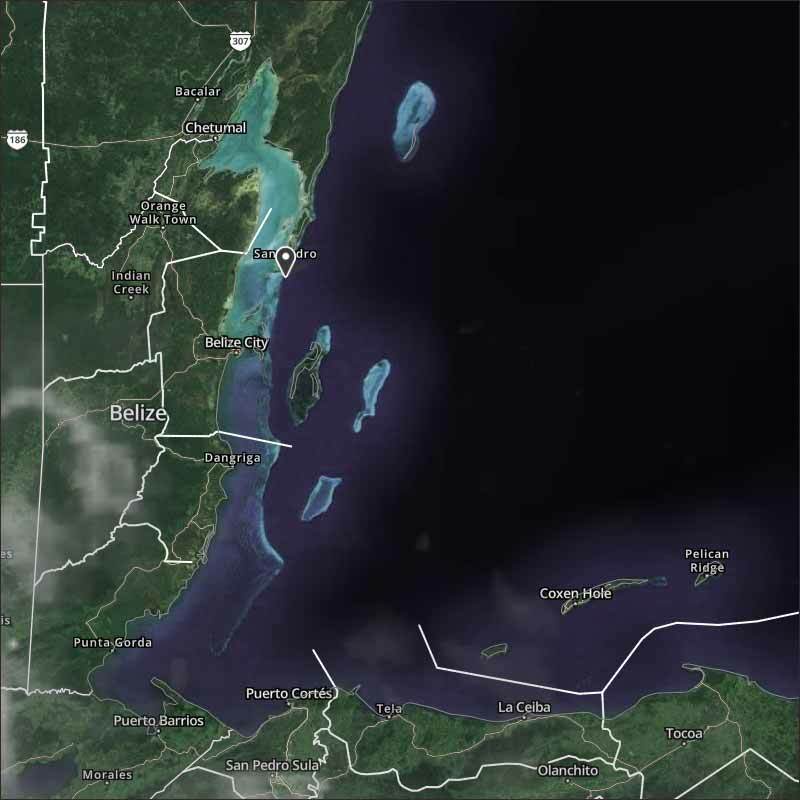 There were a few patches of rain over night as that cloud moved off Honduras and came over Belize. There is both a line of small cloud across the Caribbean, and a large ITCZ active cloud area in the eastern Caribbean, no indication that it could develop. There is cloud just off Africa that could possibly develop. Looks like today will be mainly sunny, which cloud developing, little or no rain expected, perhaps a little tonight.